Linear were engaged in August 2012 to undertake a new workplace for Golder Associates that incorporated new workspace standards, improved connectivity and the exchange of knowledge within the business and reflected Golder Associate’s passion for the environment. 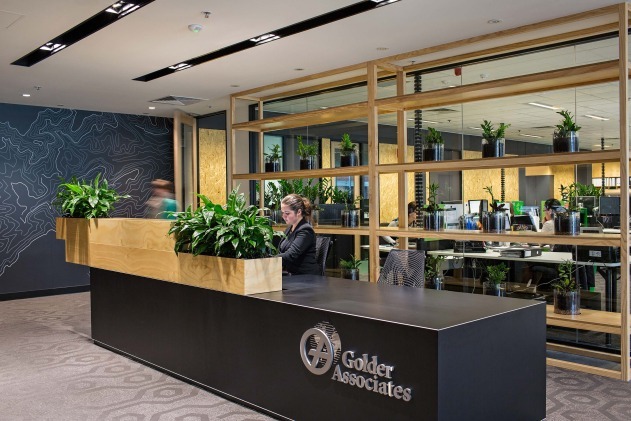 After a series of strategic workshops, a set of values and objectives were established to set the design framework and provide Golder with a workplace that was uniquely Golder & connected with their long term goals which included showcasing their commitment to the environment. 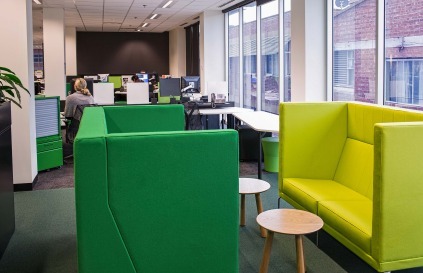 Golder wanted to be seen as serious consultants but to still acknowledge their quirky edge. 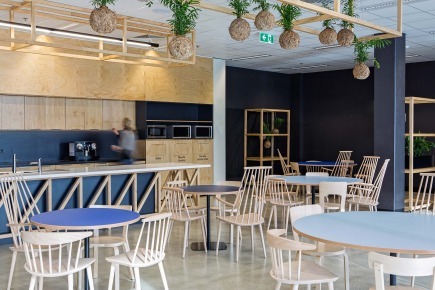 This was achieved through hanging plant balls, veggie patches, mis- matched chairs and an organic shaped workstation system that allowed individual personality and accessories. 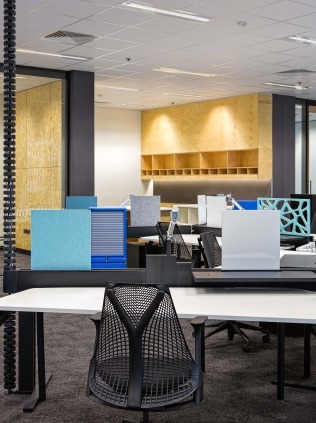 The key planning principles are based on flexibility and creating dynamic work settings that can evolve to an ever changing business. 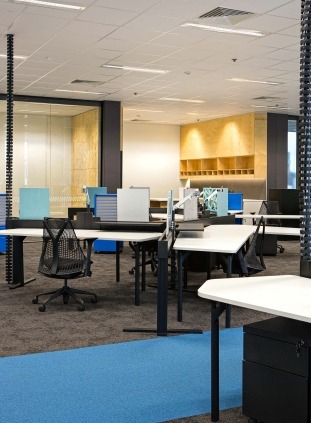 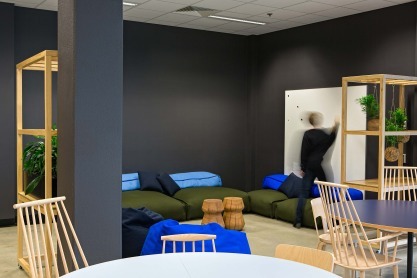 Traditional ways of working were challenged and an activity based workplace was developed that supports desk sharing and allows individuals the ability to physically change their workspace to suit their style of working. 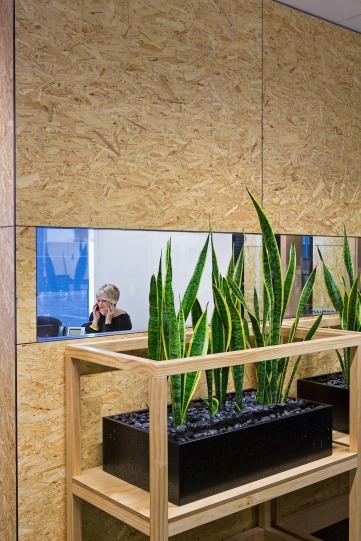 Their commitment to the environment is inter weaved through all elements of the design from the choice of raw materials & wall linings, organic shaped workstation system, colour selection linked to the earth, water and vegetation and the quirky variety of plants featured prominently in the workspace. A terrarium soil wall showcases Golder Associates core business in Adealide (soil testing) from the moment you arrive at reception. 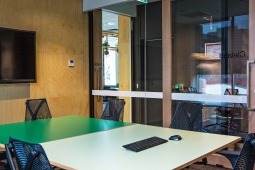 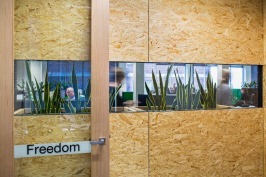 The glass wall beyond connects visitors to their workspace and reinforces the openness and “sleeves rolled up” approach of the business.